The government’s aim is to include in the arrangement salaried taxpayers and pensioners with a debt of between 3,000 - 5,000 euros, who must now pay within one year, and freelance professionals who are unable to declare bankruptcy. The government is in the process of planning an extraordinary arrangement by which taxpayers can pay off delinquent taxes in 24 or 36, or even up to 100 monthly instalments. The arrangement will involve delinquent debt to the tax bureau and to insurance funds, and will cover salaried taxpayers, pensioners, and freelance professionals. The precondition for inclusion in the arrangement will be that the taxpayer is paying all current taxes on time, or has arranged and is diligently paying the current 12 monthly instalments, from the ENFIA real estate tax and income tax to VAT tax and insurance contributions for 2018. According to a report in Ta Nea, the government will review the plan with creditors in mid-November, and possible changes will be in place by the end of the year. 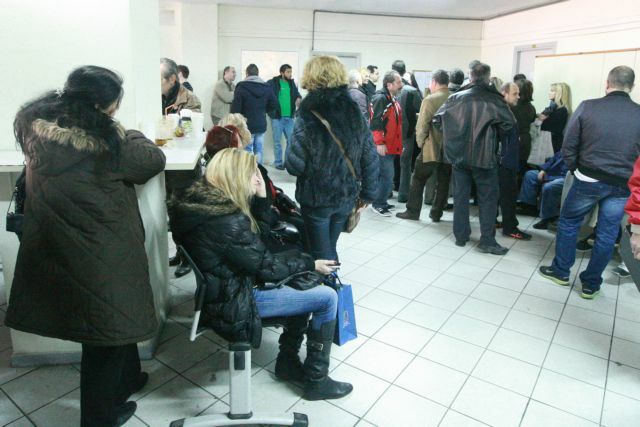 The government’s aim is to include in the arrangement salaried taxpayers and pensioners with a debt of between 3,000 - 5,000 euros, who must now pay within one year, and freelance professionals who are unable to declare bankruptcy, and are currently automatically excluded from a 120 instalment arrangement. Taxpayers with debts accrued by the end of 2017 will be eligible.